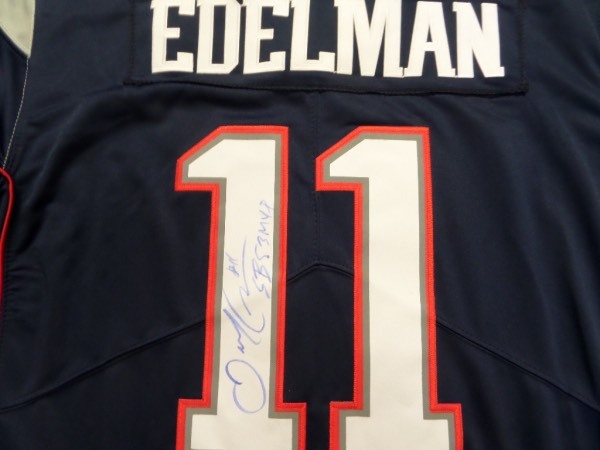 This mint blue Patriots jersey is authentic-style and comes signed in blue on the back numbers by this star WR with his #11 and SB 53 MVP included!! Great jersey for the New England fan and retails in the mid-high hundreds+ now with them winning again! !